HEY! If you're still looking for ghoulish gifts and spooky stocking stuffers for that special creep in your life, I'm making sure that all orders get sent out within 24 hours this week*! 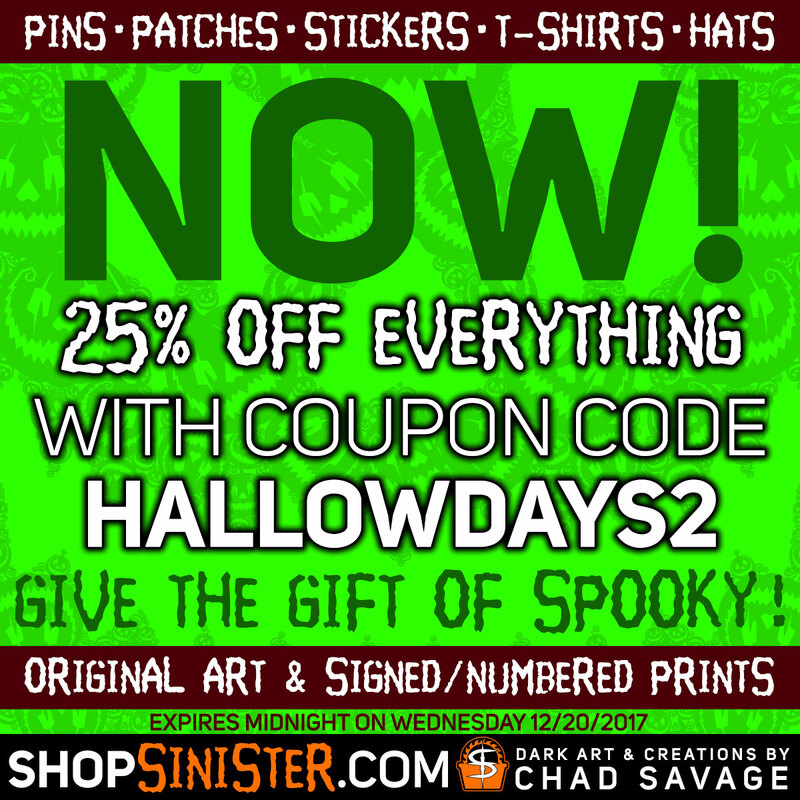 Even better, use coupon code HALLOWDAYS2 for 25% OFF EVERYTHING thru midnight on Wednesday at http://www.shopsinister.com - pins, patches, stickers, dark art and more, all made by me! *PLEASE NOTE: I am NOT guaranteeing delivery before Christmas; I'm just making sure stuff gets in the mail ASAP. Also, this does not apply to shirts/hats - they're print-on-demand and I don't fulfill those orders myself, so I have no control over when they get shipped. The coupon code still applies to them, though!